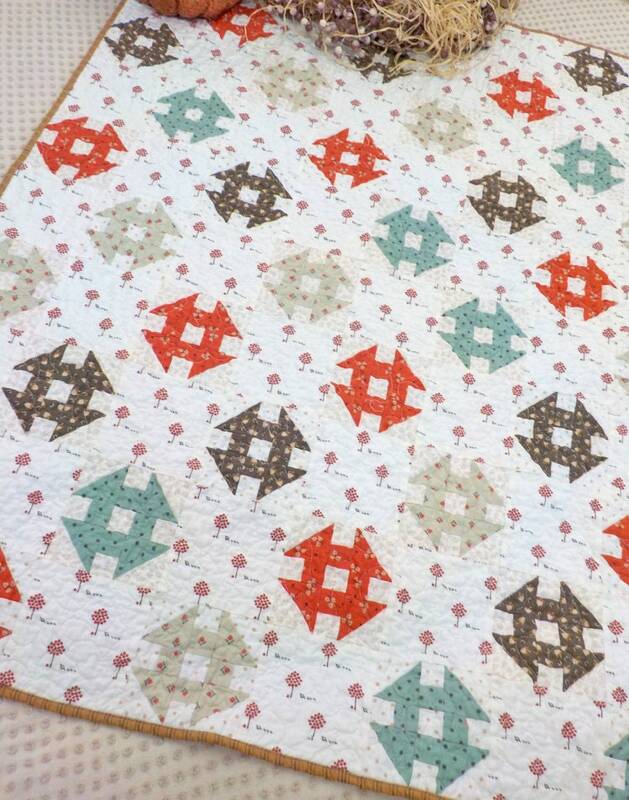 Named after a favorite hot drink...this little throw, wall hanging, or even table topper...is just scrumptious! Featuring prints from 101 Maple Street...this little bit of autumn is perfect for any decor. 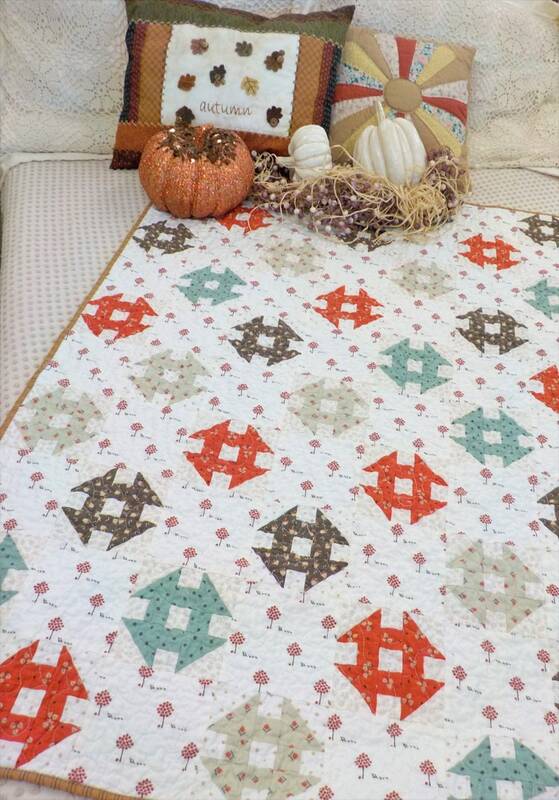 Apple Cider measures just 41 x 51 inches making it a must...plus the little shoofly blocks are a snap to whip up! 101 Maple Street was designed by Bunny Hill Designs for Moda Fabrics. This listing is for the kit. Apple Cider kit includes: pattern, fabric for front, backing, and binding.